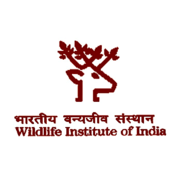 Master’s Degree in Wildlife Science/ Botany/Zoology/ Environment Science/ Environment Management/ Biodiversity Studies & Management/ Sociology /Economics / Social Works or Related subjects with ≥1 year experience in relevant field. On the basis of online written test and personal interview . Eligible candidates may apply online at WII's website (direct link is given below) from 12 Apr 2019 to 30 Apr 2019. Candidates log on to https://wii.gov.in/. Go to "Recruitment Process ".